playing in the NFL, yet alone starring in it. 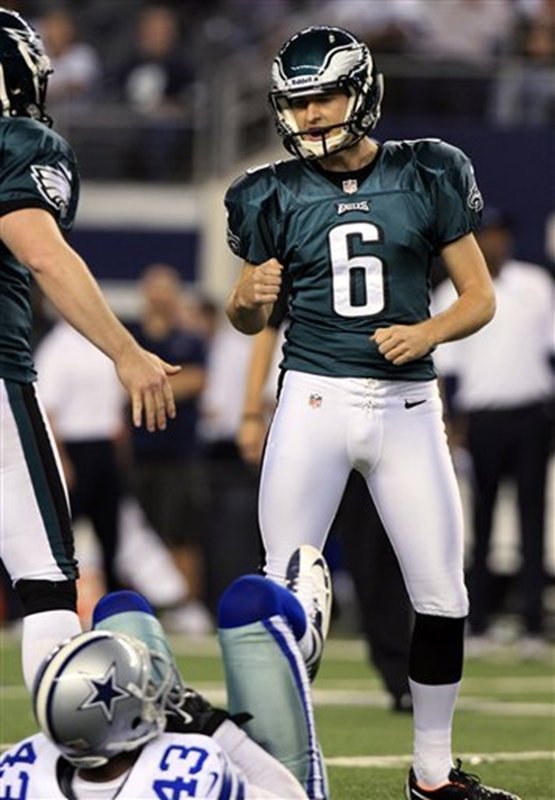 There is a certain “aw shucks” quality to Eagles’ kicker Alex Henery. A playground soccer prodigy growing up in Omaha, Nebraska, he never played football until high school, went on to become a folklore legend at Nebraska, where he holds almost every single kicking record and is the powerhouse school’s all-time leading scorer, and now he’s breaking records in the NFL for the Eagles. If there has been one shining quality to what has been an otherwise dismal season, it’s been Henery. He’s made an Eagles’ team-record 21-straight field goals. Over the last two seasons, he’s made 38 of his last 39 attempts, and he still punishes himself for missing the 45-yard attempt on his second try of the season, in the opener at Cleveland. Otherwise, he would be a pristine 22 of 22 this season. Since entering the NFL in 2011, Henery is 46-50 (92-percent), which makes him the second-most accurate kicker in the NFL during that span, behind only Jacksonville’s Josh Scobee (43-46, 93.5-percent). Henery’s been one of the few—possibly only—All-Pro candidates the Eagles have had this season. But if you know anything about Henery, it’s typical. He’s always been successful. At everything. Don’t let the “aw shucks” veneer fool you. Underneath the smiling 6-foot-2, 180-pound 25-year old, who looks like he’s 18 with his hat tucked tight over his eyes, lays a row of unseen shark’s teeth. “Soccer was pretty much my main sport growing up, but no, I didn’t see anything like this coming,” said Henery, who graduated with an engineering degree from Nebraska. “I remember at first, I kicked it like a soccer ball, and hopefully, it went straight. This is kind of weird, because when I decided to go to college, I was actually a walk-on punter at Nebraska. I never even dreamed of playing too much there. None of the walk-ons get a chance to play too much there. It’s worked out. His first step to the NFL began when then-Omaha Burke High School soccer coach Mike Bailey suggested he try punting and place kicking for the football team . Bailey, who still remains in close contact with Henery, was also the kicking coach for the football team. “Al was a playground soccer legend coming in; he was among one of the top 25 players in his age group in the region and probably the most natural goal-scorer I’ve seen in my life,” Bailey said. “Al was third in the state in scoring as a freshman, broke his collarbone his sophomore year and led Nebraska in goals his junior and senior years. But Al benefitted from a great situation. Our headfootball coach , Jack Oholendt, knew kicking was a specialized skill. At Omaha Burke, Henery’s “wow moment” came the opening game of his sophomore year. In a game against Lincoln High, a snap flew high over Henery’s head. He retrieved the ball, dodged a tackler and somehow managed to punt it 70 yards—with a very generous roll. Henery nonchalantly returned to the sideline. But Oholendt went crazy. Nebraska and the rest of the nation was introduced to Henery his sophomore season there. He had beaten out a senior scholarship kicker, and his first major moment happened against Colorado. With the game riding on his right leg, Cornhuskers coach Bo Pelini turned to Henery to boot a 57-yarder with 1:50 left to play and the Huskers trailing 31-30. Henery kicked a school-record 57-yard bolt that just caught the inside of the right upright and sent Nebraska’s Memorial Stadium into delirium. 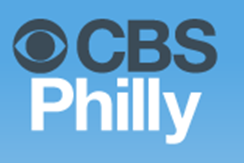 The 57-yarder in the cold against Colorado put him on the national stage—and eventually caused the Eagles to take notice and select Henery, a kicker, with their second fourth-round pick in the 2011 draft. If you look at the Eagles’ 2011 draft class, Henery, and sixth-round pick Jason Kelce, have been the only impact players selected (1st: Danny Watkins (bust); 2nd: Jaiquawn Jarrett (cut); 3rd: Curtis Marsh (marginal contribution); 4th: Casey Matthews (bust)). Mary Henery, Alex’s mother, still gets nervous each time her son plays. She didn’t even foresee this, yet she was his first coach, when Alex was 4½ playing soccer a level up with his older brother. Now Henery is doing commercials during the Big 10 championship game between Nebraska and Wisconsin. He’s a member of the country club where he once cleaned pools and flipped burgers, and is quietly, coolly having an unforgettable season in what has been a forgettable year for the Eagles. A typical NFL kick takes about 1.2 seconds after the nod. Henery doesn’t think. He turns it over to muscle memory as his personal navigator. Despite the futility of everything around him, Henery will continue to put his blinders up. He’ll tune out the swirling din and he likes the pressure. Henery has certainly been one near-perfect point this season.